After two seasons of airing in the summer, WORLD OF DANCE is moving in-season with the Tuesday, February 26 season 3 premiere. NBC has set its midseason lineup, including the return of GOOD GIRLS and A.P. BIO, as well as the series debuts of THE VILLAGE and THE ENEMY WITHIN. Additionally, WORLD OF DANCE has a special preview on Tuesday, February 26, followed by its regular debut on Sunday, March 3. WORLD OF DANCE’s second season is underway right now on NBC, but the competition—and its results—were filmed long before the show returned to television. WORLD OF DANCE has been renewed by NBC for a third season—weeks before the second year launches. 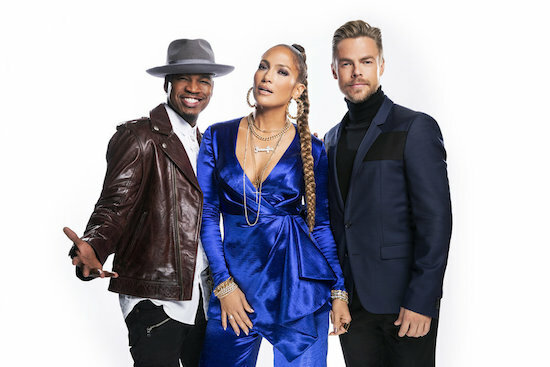 Ne-Yo, Jennifer Lopez, and Derek Hough judge the dance competition; Jenna Dewan hosts the series. NBC has firmed up its non-scripted summer schedule. AMERICA’S GOT TALENT, the #1 summer series, will return for its 13th season on Tuesday, May 29 at 8/7c. Host Tyra Banks, as well as judges Simon Cowell, Mel B, Heidi Klum, and Howie Mandel will all return for the new season. Meanwhile, AMERICA NINJA WARRIOR will launch its season on Wednesday, May 30 at 8/7c, before it moves to its Monday at 8/7c slot on June 18. RUNNING WILD WITH BEAR GRYLLS kicks off its fourth season of Wednesday, May 30 at 10/9c. The celebrities lined up to participate this year include GAME OF THRONES’ Lena Headey, ORANGE IS THE NEW BLACK’s Uzo Aduba, THE AMERICANS’ Keri Russell, Roger Federer, Joseph Gordon-Levitt, Don Cheadle; Scott Eastwood, and WORLD OF DANCE’s Hough. Which show are you most excited for?